Clinch Memorial Hospital’s Radiology Department offers CT scans, X-rays, Digital Mammography, and Ultrasound. Our team of technologists is fully Board Certified with years of experience providing caring and professional Radiology services. The purpose and goals of the Radiology Department is to provide Quality Medical Imaging services in a professional and timely manner. 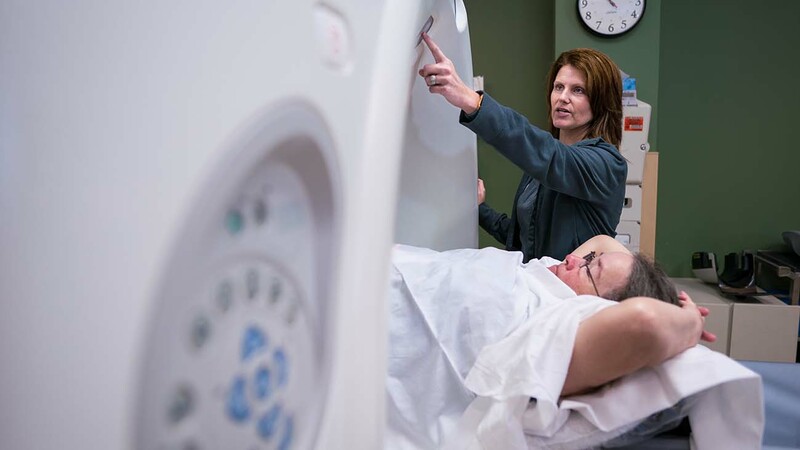 Services provided include Diagnostic Radiographic Exams (X-Rays), Computed Tomography (CT), Mammography and Ultrasonography. All exams are performed by trained, professional Registered Technologists. Diagnostic Radiology Exams are available 24/7. Computed Tomography Exams are available 24/7. CT exams are performed on a Siemens 16 slice scanner. Some exams can be done at any time while others require prep and would need to be scheduled. Mammography Exams are available by appointment Monday through Friday from 8 a.m. until 4 p.m. The Mammography Equipment, Technologists, Radiologists, and Physicist are FDA and American College of Radiology Certified. Ultrasonography is available by appointment Monday through Friday from 8 a.m. until 5 p.m. You as the patient have the right to have your exam performed at the facility of your choice.